After spending way too much money on a new iPhone, I decided that it was important to spend more money to protect it, and even a bit more to be able to keep the camera steady. So, here are 3 accessories for the iPhone 6 that I’ve researched, and I recommend here. The first accessory you are probably going to need for your iPhone 6 or 6 Plus is a case. There are literally hundreds of cases to choose from, and you’ll probably have to go to hundreds of places to get just the one you want. Let me save you some time. Decide what you want the case for. Are you trying to make a fashion statement? Is leather important to you? 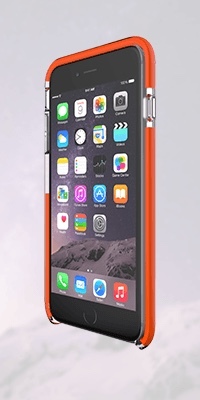 Do you want to use this iPhone for scuba diving or wild game hunting? Seriously, I’ve seen some cases that would withstand being in a war zone. Guess what, I’m not ever going to a war zone. My priority was to (quickly) find a case that would protect my investment. Most likely I might drop it, so I wanted to protect it from breaking upon impact. Here was my solution. This company seems to focus on building a phone case that would buffer the phone from the shocks of dropping. They have their own technology for a very simple case that diverts the force of the impact when a phone is dropped. It’s a convincing story, and the case is widely available. Done. After some time, I’m happy with the case. However, I’ve long ago gone away from a full-sized wallet to a thin leather case that holds a few credit cards and ID. Therefore, I’m thinking of an iPhone case that will hold some credit cards, thereby reducing two items to one. ZAGG is a great company. Their customer service is unparalleled. I have a Zagg keyboard that I use every day on my iPad 2. It’s a fantastic product. Zagg has a glass screen protector for the iPhone 6 that comes with a great warranty. I got mine at a company store where they installed it using a heat process that enables it to adhere better to the screen, but they can also send the screen protector. Either way, I highly recommend the ZAGG glass finish for protection and clarity. Joby is already famous for their flexible go everywhere Gorilla Pods. 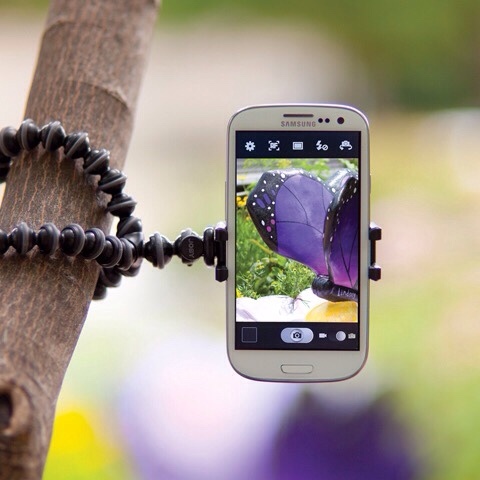 The new one depicted above is a Gorilla Pod that has a special grip for iPhones (and other smart phones). You kill two birds with this purchase by acquiring the grip which holds the phone to the Gorilla Pod, AND the Gorilla Pod tripod itself. I’m looking forward to mine arriving soon. I have another cool rig which is a tripod mount, grip, and stand that I’ll be doing a YouTube video on soon. This entry was posted in Computers, Products and tagged iPhone, Joby, Tech 21, Zagg. Bookmark the permalink.